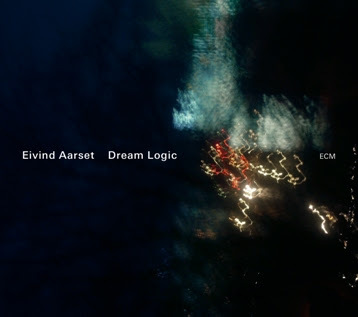 On the new album from Norwegian guitarist, Eivind Aarset, it says that he plays guitars, bass guitar, electronics, percussion, samples and programming. He is only man on the album and free to choose just want he wants. Well, he is almost alone: producer Jan Bang (samples, programming, Dictaphone) is an important part of the music. As a teenager the musical starting point of Eivind Aarset was Jimi Hendrix. Since, he was drawn by the wild and electric Miles Davis on Agartha, and then started listening to people like Terje Rypdal and Jan Gabarek. Which make sense in the understanding of the ECM-debut in Aarset's own name. Dream Logic is ethereal sound-paintings which float along. And Aarset himself has a firm grip in the music to make sure it doesn’t float away. Compositions of this kind with its heavy use of electronics very often becomes typical of its time, but Aarset and especially Jan Bang has the ability to add something uninhibited and organic growing to the music which lifts it out of its conventions. Dream Logic is a highly recommended album.